88 new recordings in high definition sound quality in stereo and 5.1 surround sound from Hamburg. If you look closely at the map (sorry, but zooming does unfortunately not work), you will notice that railway stations are generally good places to hide from the hard rain. Hamburg features a host of impressively big train stations with beautiful halls that are well suited for recordings on bad weather days. Read more about the new Avosound City Soundscapes Library. 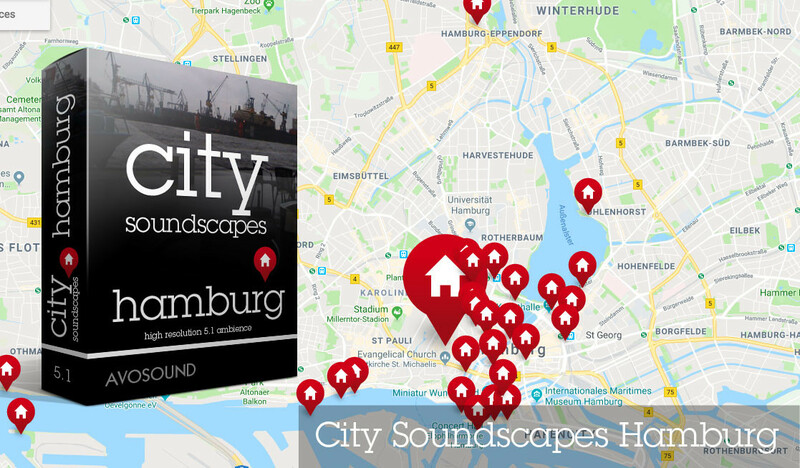 Avosound releases the new City Soundscapes Sound Library. 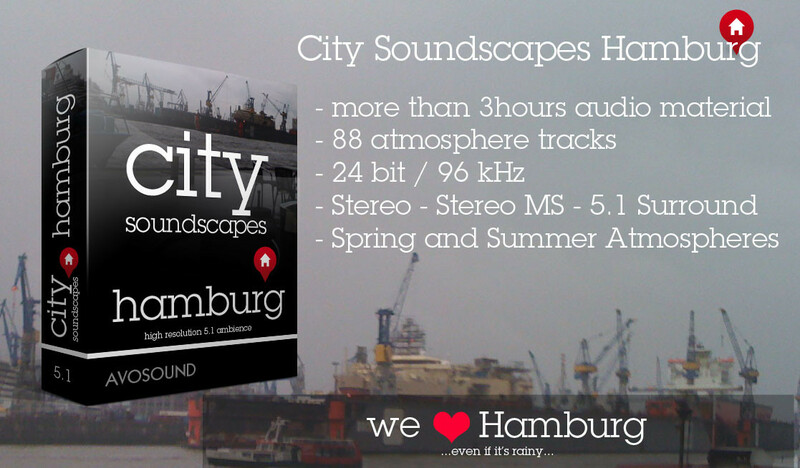 City Soundscapes Hamburg includes 88 atmospheric tracks in High Definition 24 Bit / 96 kHz in Stereo, Stereo MS and 5.1 Surround Sound. Join us on an acoustic journey through Hamburg. In the spring, Hamburg is full of surprises - so enjoy the rare moments when your socks aren't wet for a change! Read more about the new City Soundscapes Library from Avosound. 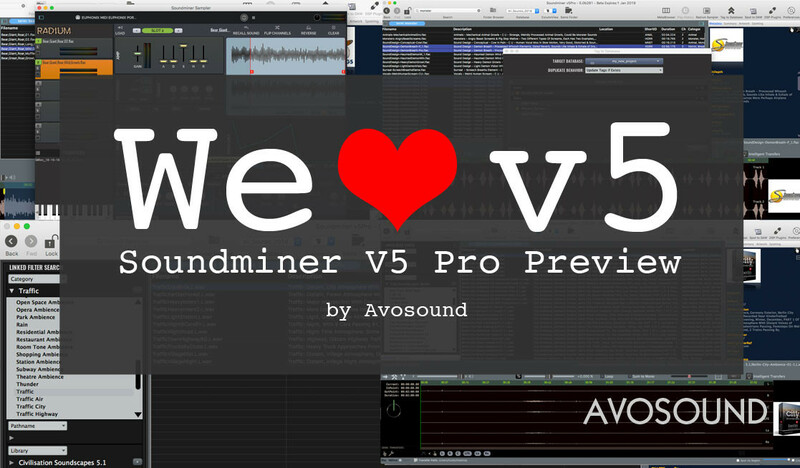 Soundminer V5 Pro now includes the integrated Radium sampler - connected directly to the sound database, it will make every sound designer's heart beat faster. Reason enough, then, to take a closer look at the latest version of Soundminer. 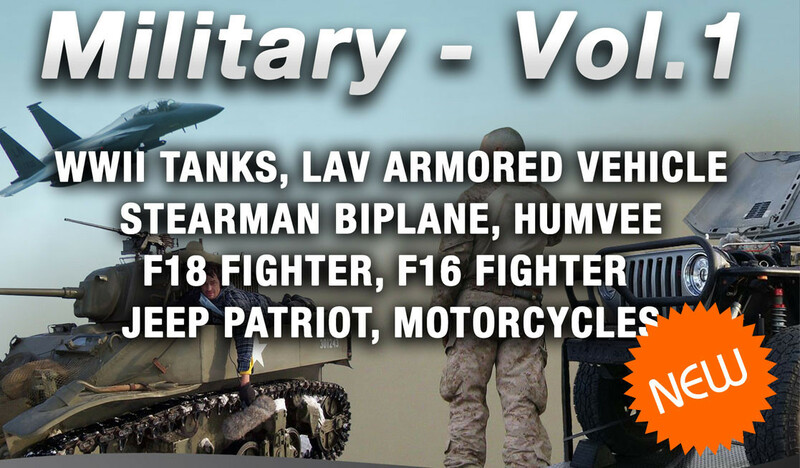 The Sounddogs Military Sounds Archive features 731 sounds and noises in the armed forces category, including fighter jets, Humvees, tanks and other armoured vehicles. The Sounddogs Military Sounds Archive contains an impressive collection of fighter jets, including the classic F-14 Tomcat and the Harrier Jet. Both of these jets, however, are more likely to be bound in a scrapyard than on a runway these days. If the name doesn't immediately ring a bell, the Harrier was the plane that could take off vertically because of its rotatable jets (and, yes, it did look very weird and somehow just, er, wrong). The good old F-14 is famous for being the jet of choice for Tom Cruise (aka Maverick) in Top Gun. 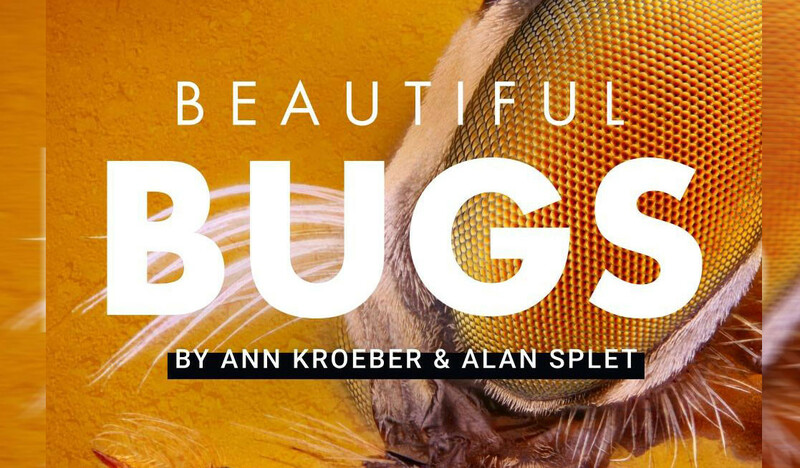 Beautiful Bugs, a compact sound effects collection with 88 great and impressiv insect sound effects, is the lates release from film sound legend Ann Kroeber und Alans Splet. The Beautiful Bugs sound effects library brings you 88 insect sound effects that were recorded and designed while working on major feature films including David Lynch's Blue Velvet and Peter Weir's The Mosquito Coast. These masterful recordings were captured on excursions in the jungle of Belize, the Alaskan wilderness, muggy summertime North Carolina, and an insect lab in Berkeley, California. The Beautiful Bugs Sound Library is on sale until August 7th 2018. 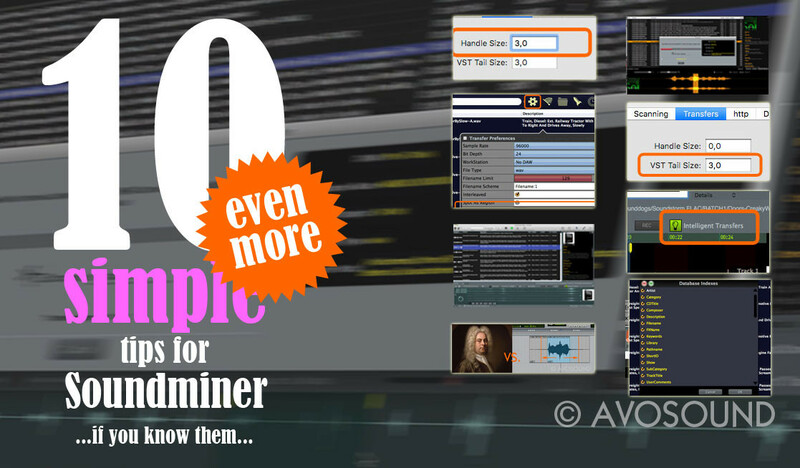 10 new tips and tricks for the Soundminer programs. Find out what the IQ Transfer does, how to create a script or how to customize the search index. But there are a few simple things among the new tips that are often requested: Transfer an effect that is longer than clip length? No problem, the solution is called Tail Size. Adding pictures? Well, user often ask that. Check out the new tips and become employee of the month by learning how to add a photo of your boss to the sounds. Let's go to the Soundminer tips right now. The Odyssey Collection - Sale Extended! 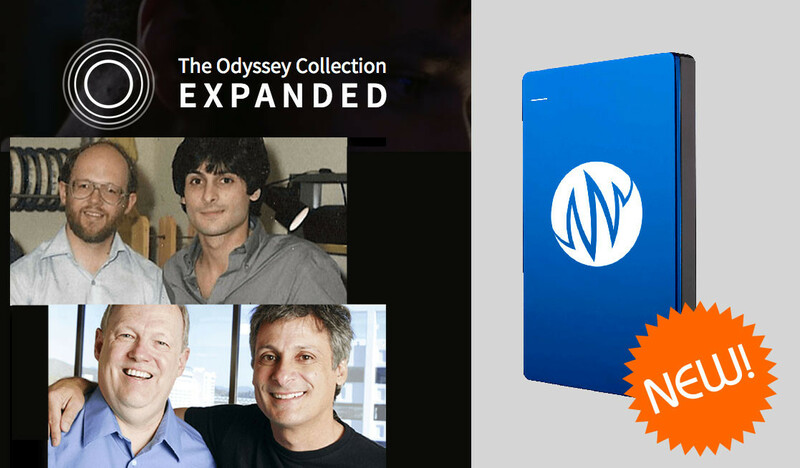 Our friends from Pro Sound Effects just have announced to extend the sale of the Odyssey Collection Sound Library! But hurry up, the sale ends tomorrow on may 15th! Save your Odyssey Essential Collection now! 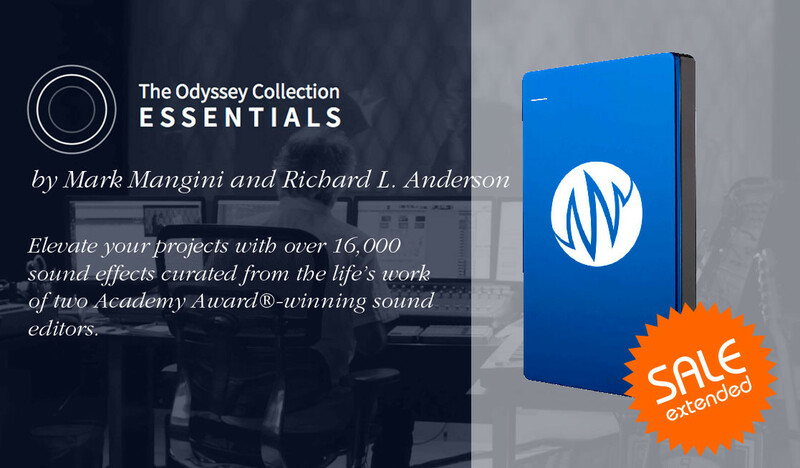 NEW: The Odyssey Collection: Expanded - A sound library created from the personal sound library from the two award winning sound designers Mark Mangini and Richard L. Anderson. This incredible sound library contains more than 32,000 outstanding sound effects, atmospheres and special effects from more than 250 big-budget feature movies! Click here to read more about the Odyssey Collection! ReWire enables system-internal exchange of audio data streams. Or in a nutshell: sharing audio playbacks between programs. In our case, we want to send the audio output from Soundminer to Pro Tools. You're probably wondering why this should be good, after all, you just have bought a great Dolby Atmos processor or something else with extremely many outputs. Unfortunately, there are some sticking points, especially when working with Pro Tools as Pro Tools does not like to share its hardware at all to other programms. 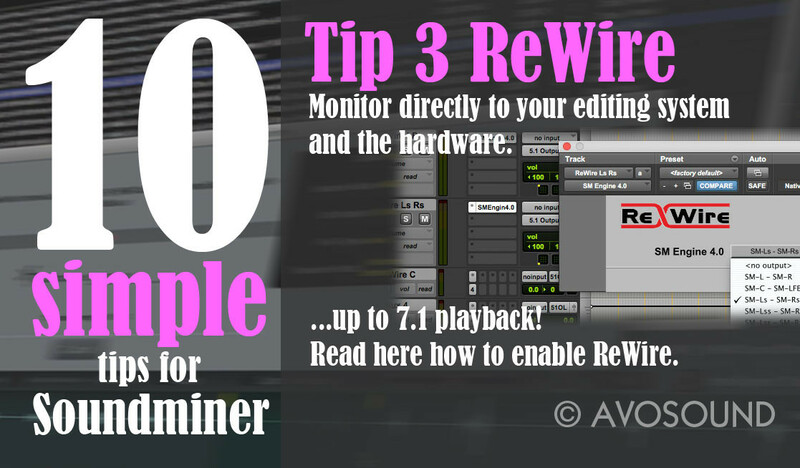 The ReWire makes it possible to monitor directly through your editing system and the hardware. So you can hear your playback with the current volume setting, you can control the audio playback with your controller like any other channel and you can playback multichannel files up to 7.1. Let's check out how to enable ReWire! 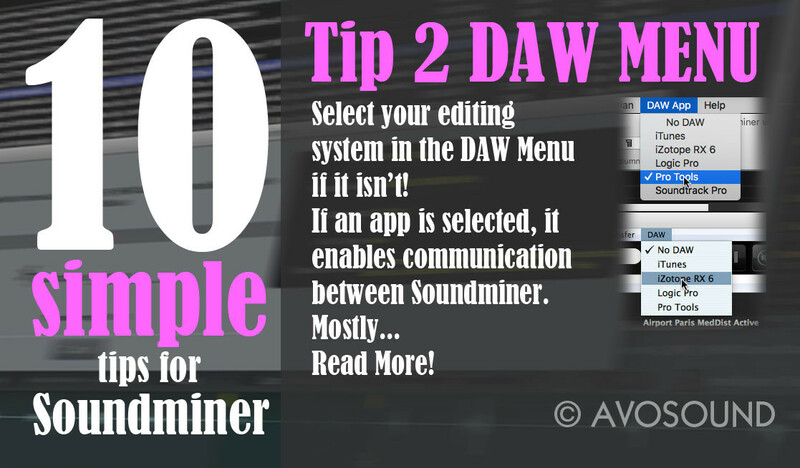 The DAW menu displays the applications that are currently open and able to communicate with Soundminer. If you are working with a 'common' editing system like Pro Tools, Nuendo, Pyramix, Reaper... Soundminer will automatically make the selection. If you are working with a different software like a picture editing system or a software sampler like Iris, make sure to select it! Depending on the application, Soundminer is now able to communicate with that system and share datas for example transfer path and others - which makes your work much easier! Wow, show me more of that! Please note: Your target app must be able to communicate or allow communication with Soundminer. However, if Soundminer does not recognize your program, mail us! (Please don't mail us, if you're using Fairlight. Please see the next sentence...) But to be honest, in most cases the time has now come to switch to [insert here your own term for a contemporary system] editing system.